SS501 ASIAN FANS SITE: What Really Happened Behind The Scenes? To everyone who are looking for answers, here's something to think about. Read it carefully. I'm not sure if this is confirmed or not, I'll leave you guys to decide. I have to warn you though, "DO NOT BELIEVE EVERYTHING YOU READ." I merely posted this up because it can shed some light in some dark areas. Like why Jung Min and Baby were the ones who attended Golden Melody Awards, and other stuff. You can think about it or merely brush it off as hearsay, it's your call. You can turn it over round and round in your head and analyze it, or you can just simply wait, until an official statement is issued. But no matter what, I still BELIEVE in SS501. Best for us to wait for more official news. Mal and Baby had first signed with DSP. that the five learnt that DSP didn’t want to sign Kyu. 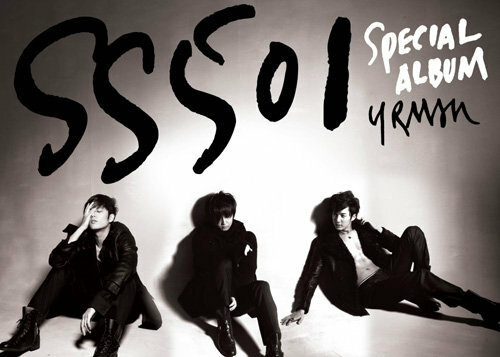 There’s no way SS501 could continue. Hyun Joong requested that DSP sign with Kyu first before his signing the contract. Hyun Joong recommended that Kyu goes to YG. the various companies to collaborate for them to release an album. YS and Kyu are currently in Japan. Kyu is in discussion with YG. IS TO PROTECT THE OTHER FOUR, TO PROTECT SS501, AND TO PROTECT THE FANS. and Hyun Joong wanted DSP to sign with Kyu by threatening to sign with another agency. so they had gone on ahead and signed first. YS also said something like that…. the interpretation is that they would be working together again next year. So Hyun Joong surfaced first to face everything. Again, all we can do is wait for the official statement from those involved. To those of you who have been judging Leader and to those who have been hurling bad comments at him, you guys should be apologizing. Never, not once, did I doubt Hyun Joong's loyalty to SS501. No amount of fame, money or whatever can buy his integrity. Now if this article is true, then he's a HERO. He protected Kyu and his group. He protected Triple S too. He didn't have a choice. "Hyun Joong surfaced first to face everything." He was willing to face all insults, all anger, all judgment. To spare his brothers. That's the mark of a true Leader. If he didn't do what he did, SS501 will no longer exist. Now I'll leave you with your thoughts. As for me, my respect and love for Hyun Joong has grown 501% times more.